Lord Prior, Department of Health minister in charge of relations with pharma and Brexit, discusses exiting the EU, the promised UK Life Sciences strategy and the future of pharma pricing. On the evening of my interview with health minister Lord David Prior of Brampton two weeks ago, we met in a windowless room secreted inside the labyrinth of Victorian gothic that is the Palace of Westminster. Just a few corridors away, in the House of Commons itself, MPs were voting on plans for Brexit and handed Prime Minister Theresa May a resounding victory. Most opposition Labour MPs voted with the Conservatives in favour of the government triggering Article 50 by the end of March 2017 to begin negotiations on leaving the European Union. A Labour motion demanding that the government should publish a “plan for leaving the EU” before article 50 is invoked was also carried, thanks to votes from Labour and Conservative MPs. However, the government is still reluctant to share a clear vision of what kind of Brexit it wants – beyond the banalities of May’s ‘Brexit means Brexit’ and wanting a ‘Red, White and Blue Brexit’. Once Article 50 is triggered by March 2017, the UK is expected to leave the EU by March 2019. This gives the government, its ministers and civil servants very little time to navigate the labyrinth of exiting the EU – a fiendishly complex task when the government hasn’t identified what it believes lies behind the door marked Brexit. The UK pharmaceutical industry is just one key sector which is waiting on tenterhooks to find out what the Brexit plan is. Health minister Lord Prior of Brampton and business minister Jo Johnson have been given the task of leading pharma, biotech and the wider life sciences sector through this maze. Lord Prior came to his current role as part of Theresa May’s government-wide reshuffle when she became PM. To the industry’s chagrin, George Freeman, the first ever Minister for Life Sciences was promoted to a new cabinet post, and this dedicated role was discontinued when he left, although the Office of Life Sciences which he oversaw has been retained. It is no small irony that Jo Johnson is the younger brother of Boris, the most popular and persuasive Leave campaigner. Jo was himself a Remain supporter and will have to create some sort of order from the chaos created by Brexit. Lord Prior was equally a firm Remainer, and in October even expressed his belief that the referendum result was a “terrible mistake”. Two months is certainly a life time in politics and when we meet in that windowless room in Westminster, his conversion to being a Brexit evangelist is complete. Lord Prior has fallen in with the official government line that the decision must be respected, and that Brexit can be an opportunity for the UK, including for life sciences. However it seems that many of the UK’s pharmaceutical industry leaders don’t share that optimism. A poll conducted in early December by pharmaphorum of 11 UK pharma industry leaders (including six UK general managers) found most (seven, 64%) feared that Brexit would cause “long term damage to the UK pharmaceutical industry”. A further four (36%) said it would only cause short-to-medium term problems, with a neutral long-term impact. But none believed Brexit would positively improve conditions in the UK market. Putting these pharma industry sentiments to Lord Prior, the minister was quite matter-of-fact in rejecting them. Despite their pessimism around Brexit, pharmaphorum’s conversations with UK pharma industry leaders show them willing to embrace new opportunities that arise from Brexit. These include the idea that the UK could develop its own standalone regulatory system outside the European Medicines Agency, and also free itself from the confines of the EU clinical trial regulations. However the truth is that many of these opportunities aren’t so compelling – certainly most UK pharma companies wouldn’t have willingly traded them for the security and advantages of EU membership. Lord Prior played down these concerns, saying pharma in the US, Italy and France all have their own problems. “The fact is the world is full of change, and business doesn’t like change. The message to business and industry is you better get used to it, because there is an awful lot of change going on. There is a genuine opportunity for the devaluation of sterling caused by Brexit to help re-balance the UK economy by making manufacturing more competitive. Probably the best analysis aiming to forecast the potential Brexit scenarios and their impact on pharma is PPP and QuintilesIMS’ Finding A Cure, published in November. It found pharmaceutical manufacturing contributes around £13bn to UK Gross Value Added (GVA), more than in any other European country bar Germany. A long-term lowering of sterling could boost this further; contract research organisations having already reported a post-Brexit boost to their business (although the pound is currently regaining some of its lost value). 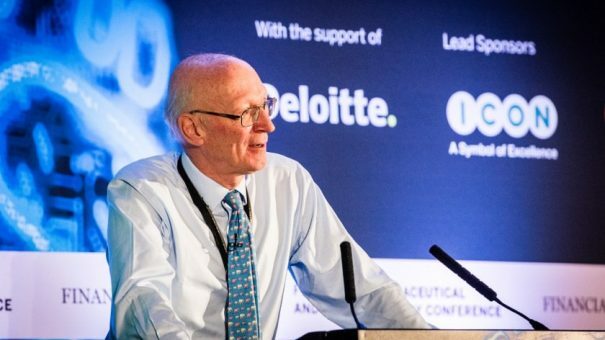 Lord Prior says a number of major pharma investments could be on the horizon which will back up this confidence. Nevertheless, the dangers of Brexit loom large. One of the most clear-cut risks is the UK having to leave the EMA’s system of medicines regulation, which allows a single authorisation across all current EU 28 member states, plus Iceland, Norway and Liechtenstein. If the UK can agree on a Soft Brexit, it could retain membership of this club, putting itself alongside the much smaller markets of Iceland, Norway and Liechtenstein as a country which accepts the rulings but doesn’t get a say in how the EMA is run. However, even if that scenario is possible, Lord Prior is convinced that the EMA will have to relocate out of London, as the UK will no longer be a full member of the European club. 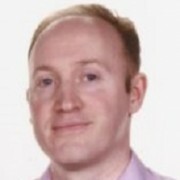 “It is almost certain that the EMA will move from London,” he says, but believes that there is no question that the UK’s national medicines regulator MHRA can continue to sub-contract its expertise to the EMA post-Brexit. Even that forecast might eventually prove a little naïve, however. As the final shape of Brexit will be determined mostly by ministers of the remaining 27 members – the UK may well find itself severely punished in all sorts of ways for its vote of no confidence in the EU. Thus just as many other EU states are vying to re-home the EMA, many national regulators would also gladly take over from the MHRA, happily poaching staff and regulatory work. The Finding a Cure report cites a QuintilesIMS Market Prognosis which says the potential negative impact of a Hard Brexit “regulatory dealignment” on UK pharma sales to 2020 could be up to £144 million. The truth is that most UK pharma executives are already weary of dealing with the huge uncertainties of Brexit and the vague promises of government – they want firm assurances and a sound plan. When she took over at 10 Downing Street in July, one of Theresa May’s novel policies was an industrial strategy for the UK. This would be a planned approach to building up sectors not fashionable in Britain in recent years – but one that will still depend very much on its future trading relations with Europe and the rest of the world. Lord Prior confirmed that this industrial strategy will be unveiled in the spring, and will cover a host of key sectors, including life sciences. This leave a question mark hanging over an existing, freshly-minted strategy for the sector, the Accelerated Access Review. Many UK pharma leaders had put their hopes in the AAR providing an over-arching narrative for the sector, but this looks like a forlorn hope – mainly because of the financial crisis in the NHS, but also because Brexit is diverting so much of everybody’s attention. Lord Prior confirmed that the core goal of the AAR would be honoured – to promote and accelerate “4-6 major transformative technologies” – but there is no guarantee that these will be novel medicines, and instead could be predominantly medical devices or new digital technologies. He added that there was “a caveat around affordability”. UK pharma is well aware of this caveat, particularly as NHS England is set to tighten its grip on medicines spending with a new ‘budget impact assessment’ in the NICE process from 2017. Of course this neatly sidesteps any of the make-or-break questions about immigration controls: it is less skilled workers who have been the focus for UK voters worried about immigration, while work permits or visas for the very best talent aren’t in doubt. Nevertheless, after sending out ‘Hard Brexit’ signals in early October at their party conference, Theresa May and her ministers look to be edging back towards a Soft Brexit approach. This is the same conclusion arrived at by the Finding A Cure report. But once Article 50 is triggered, EU leaders will, ironically, have more say in the final shape of the Brexit deal than UK politicians. All that means that 2017 will be a rollercoaster ride for the UK, its economy and for key sectors such as life sciences. The year will also see one UK pharma and the Department of Health start negotiating on replacing or updating the current PPRS pricing agreement, which expires in December 2018. The current PPRS doesn’t allow for the “creative and imaginative” approach to pricing and reimbursement which Lord Prior says is now necessary – something which thankfully all stakeholders agree on. But as Brexit has shown, trying to draw up a new deal from scratch doesn’t mean some fundamental limitations go away, which means there won’t be any easy way out of the labyrinth in 2017. 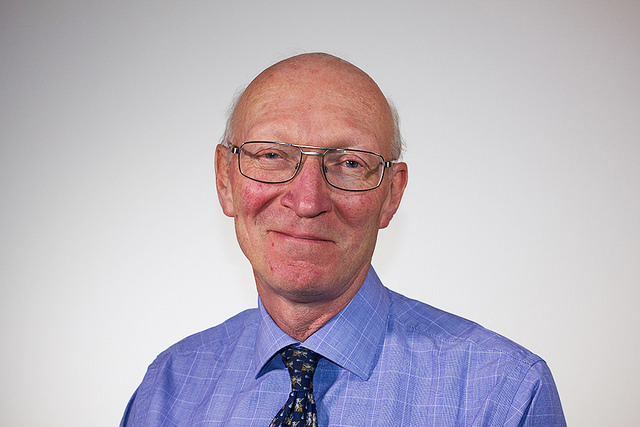 Breaking news: It has been confirmed today that Lord Prior will now transfer from the Department of Health to serve as a minister at the Department for Business, Energy and Industrial Strategy.